A big question loomed at the Supreme Court today as the justices heard arguments over which court — federal appeals courts or district courts — would handle challenges to the Obama administration's contentious Waters of the U.S. rule. Should the Clean Water Act be interpreted functionally or literally? Led by the National Association of Manufacturers (NAM), the petitioners contend that challenges belong in district courts because the rule doesn't fall under specific categories for which the Clean Water Act grants appellate court review. But the government argues against a literal interpretation of the law and says challenges belong in appeals courts, where review would be more efficient. The case is far from a slam-dunk for either side, but justices seemed more inclined to side with the industry group. Of the court's liberal wing, Justice Stephen Breyer had the most difficulty in reconciling the government's position with the text of the Clean Water Act. "I am rather stuck," he said. 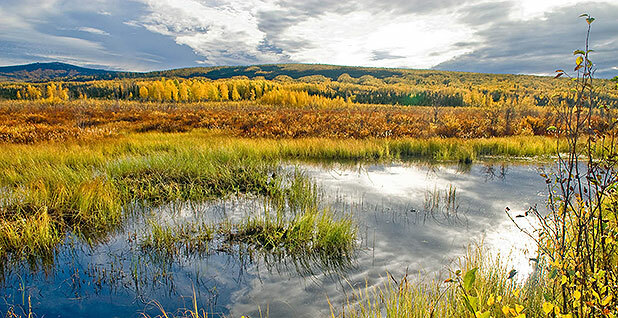 The Obama administration's rule — also known by its acronym, WOTUS, and as the Clean Water Rule — attempts to clarify which isolated wetlands and streams receive automatic protection under the Clean Water Act. U.S. EPA and the Army Corps of Engineers issued the joint rule in 2015. Dozens of parties sued over WOTUS in both appeals and district courts. In January, the Supreme Court agreed to take up a petition by NAM asking it to decide the correct legal venue. The Supreme Court's decision on the issue will determine where challenges to future Clean Water Act rules play out. The choice of court also affects the resources needed to litigate the merits of challenges, sets the statute of limitations for filing lawsuits and helps determine whether actions can be challenged in subsequent civil or criminal proceedings. At issue is the Clean Water Act section containing the law's judicial review provisions. The law stipulates that appeals courts have jurisdiction over challenges to "any effluent limitation or other limitation," as well as permit approvals or denials. Other legal disputes go to district courts. NAM, states opposed to WOTUS, farm and business groups, and a coalition of environmental organizations all believe that lawsuits belong in district courts. They argue WOTUS is a definitional rule that itself does not impose any discharge limitations or approve any permits. The law is "precise" in what disputes go to district court, NAM attorney Timothy Bishop told the justices today. The Trump administration, the Natural Resources Defense Council and the National Wildlife Federation, on the other hand, argue that challenges fall within the purview of appeals courts because the rule established the boundaries of the Clean Water Act's ban on pollutant discharges and EPA's permitting authority. Rachel Kovner, assistant to the solicitor general, today argued that, because the government cannot issue an effluent limitation without first defining the scope of standards, the rule necessarily functions as a limitation under the law. Sending WOTUS to appeals courts would promote judicial efficiency, the government also argues. "The provision should be interpreted to avoid irrational bifurcation," Kovner said. Justice Sonia Sotomayor called the government's position that the rule qualified as a limitation "attractive," "simple" and "certainly no more complex" than NAM's argument. And she noted that challengers to the rule have specifically argued that the rule is "limiting" their activities. Breyer, though, said that he had trouble with the government's position because Congress spelled out the types of limitations that would be subject to appeals court review. WOTUS does not fall into those categories, he said. If lawmakers intended all rules to go to appeals courts, Breyer said, "why did they bother writing this stuff?" Justice Ruth Bader Ginsburg, too, said she understood the textual arguments. She also noted that the Clean Water Act is different from the Clean Air Act, which stipulates that legal challenges to national rules automatically go to appeals courts. "That's what's missing here," she said. Chief Justice John Roberts seemed to sway between the practical effects of where the legal battle plays out and the plain text of the statute. On the one hand, he raised concerns about the expediency of having multiple district courts around the country parse through the thousands of pages that make up the administrative record. "And then the court of appeals would do it again all over," he said. "You would agree that it's inefficient, won't you?" he asked NAM's Bishop. But later, the chief justice said it seemed "more natural" to read the Clean Water Rule as defining where limitations apply rather than actually imposing a limit. And he wondered what effect having legal challenges play out in appeals court would have on future enforcement actions taken under the Clean Water Rule. Would a "farmer in Kansas" be able to challenge the definition of WOTUS on his property during an enforcement action? Or would he be told that it's too late because it is past the 120-day statute of limitations for filing actions in appeals courts? Justice Neil Gorsuch, for whom this was his first environmental case at the high court, was relatively quiet throughout the hourlong arguments. During the last few minutes, he told Kovner, the government attorney, that she had made a "pretty interesting argument" on efficiency — until, that is, Roberts raised the concerns about future enforcement cases. "If we're going to be in district court anyway [for enforcement], what's the efficiency gain?" he asked. Underneath all the legal arguments about the function and text of the Clean Water Act is a lurking issue: Could the whole case become moot? The Trump administration is in the midst of replacing the Clean Water Rule with a version that will likely protect fewer bodies of water. Just last week, the administration wrapped up a public comment on the first step in that process, a rule that would completely repeal the Obama-era rule. Earlier this year, the Supreme Court rejected a request by the Trump administration to hold the case in abeyance while it decides what to do with the rule. Legal experts posited then that justices believed the jurisdictional question would be important no matter what happens to the rule. But Ginsburg and Sotomayor today both raised the issue of mootness. "Is it possible this case will be mooted this term?" Sotomayor asked. Both the Justice Department and NAM today urged the Supreme Court to decide the case. Eric Murphy, Ohio's state solicitor, who argued today on behalf of states, said too much money has already been spent on litigating which court the rule belongs in — money that would have been better spent on arguing the merits of the Clean Water Rule. "We should establish clear jurisdictional rules," he said.